There are some weird things on the internet. 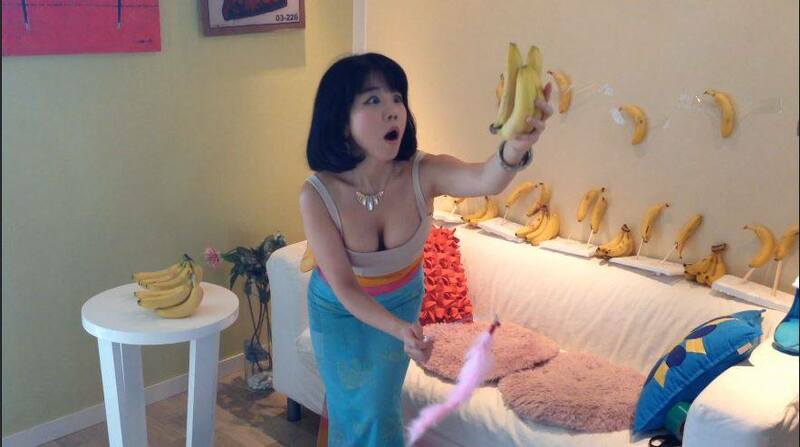 Like this South Korean woman who dances seductively with various food stuffs and everyday objects, and seems to be incredibly popular – her Facebook page launched this year and already has 340,000 likes. She goes by 쇼리 (Syori in English), and her bizarre dances are taking the world by storm, Mashable reported. As well as recording weird dances with food, she also recreates scenes from films, like Transformers and Little Mermaid. The Little MermaidThe Little Mermaid ?